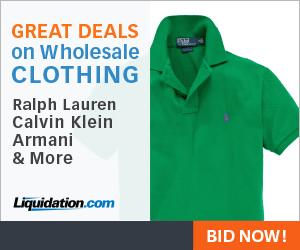 Click here to list 2019 Liquidation newest coupon codes, hot deals and promo codes offer on the site. Download free PR kit and start promoting your business today! Liquidation.com is a liquidity services marketplace where professional buyers can purchase commercial surplus inventory and government surplus assets in an online environment. Bulk lots are sold by the truckload, pallet, or small package, and conditions range from new in the box to customer returns and used. Their wide variety of product categories includes apparel, computers, electronics, housewares, industrial apparel, vehicles, and much more.